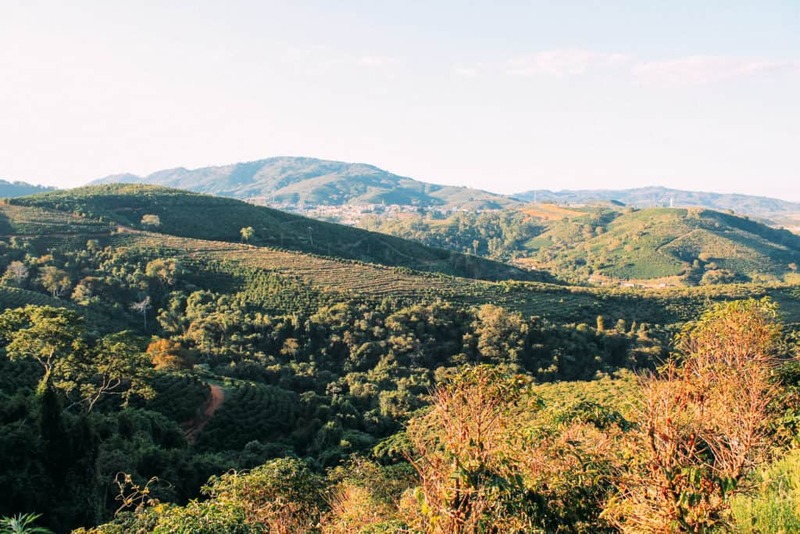 Grown on the slopes of Mount Mogiana, the Brazil Mountain Mogiana Natural is a naturally processed lot and is the result of a network developed by FAF (Fazenda Ambiental Fortaleza or Environmental Fortress Farm.) Famous for its production of specialty coffee and sustainability practices. The FAF network was developed to help educate farmers in the local community; in areas such as agriculture, business & sustainability practices. Helping to improve overall coffee quality in the growing region. These coffees are clean and display typically nice Brazillian profiles such as buttery, cocoa, creamy, big body, mild acidity, caramel. The cherries are picked from the various FAF partner farms before taking them to the raised beds and patios. They are carefully selected and graded, all impurities are removed and the cherries are pulped. Sticky parchment beans with the mucilage still attached are then spread out onto raised beds where they are slowly dried over the course of 2 weeks. During this time they are turned multiple times a day and further manual selection is taken place. When the beans are dried the parchment is removed at the on-farm dry mill. The country encompasses a significant portion of the South American continent’s land area and its coffees are as diverse as the people who grow them, from smallholders descended from Eastern European immigrants in Espirito Santo to large estate owners and agribusinesses in Minas Gerais. In Brazil, as in all coffee origins, coffee growing regions are defined by a combination of physical and political geography. 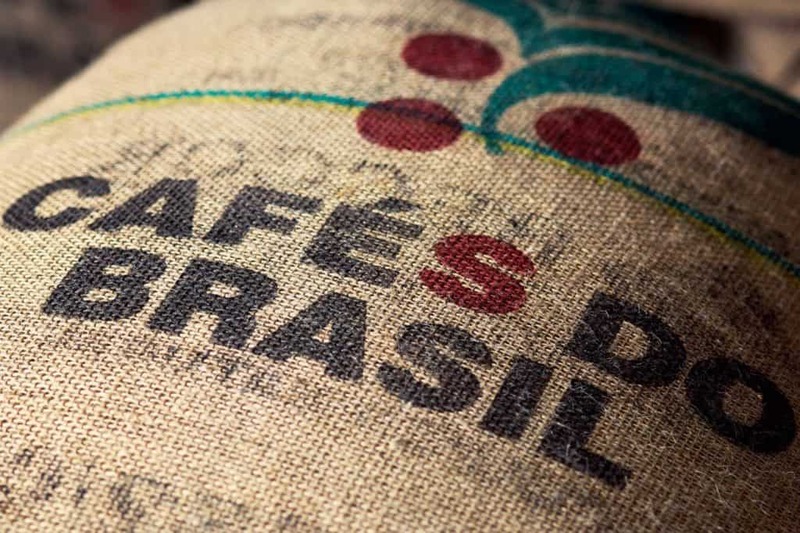 The Brazil Specialty Coffee Association identifies twenty-five different coffee regions; most of our offerings from Brazil fall into one of the seven main regions. The locations of coffee farms are determined by the human and environmental landscape; mountains, plateaus, rivers, and soil all have as much of an influence on the concentration of coffee farms as do highways, warehouses, and milling facilities. 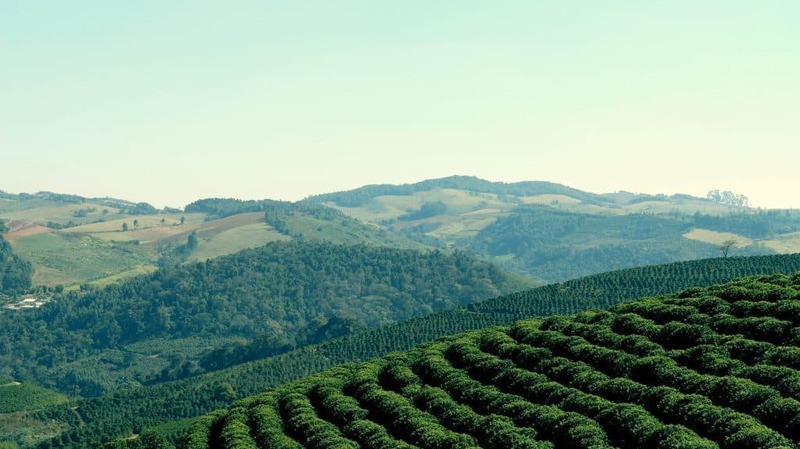 While most of Brazil’s coffee is grown in Minas Gerais, the size and variation of the state mean that coffee from each region has a unique terroir. Alta Mogiana is a region in the northern part of the state of Sao Paulo. The region’s farms lie on the other side of the mountains in Sul de Minas. Mogiana has a reputation for quality in the cup and thanks to the efforts of the regions farmers, many of whom have earned UTZ and Rainforest Alliance certifications for their properties. 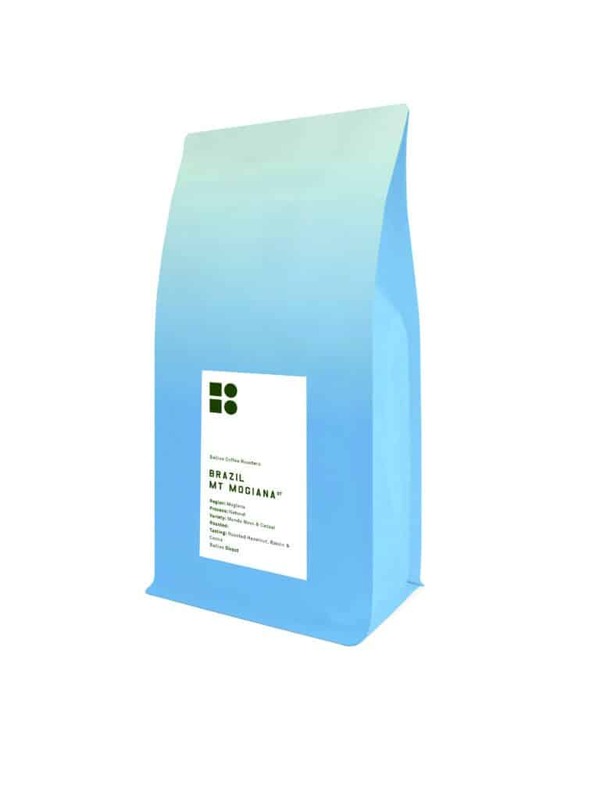 When you think of exquisite coffee roasters, there is one top-notch roaster that comes to mind — Bailies Coffee Roasters. Since the beginning of their startup, they have created and resourced world-class coffee experiences that honour the skilled labour of their farming partners across the globe with dignity and fairness, as well as providing delicious flavoured coffees for their customers. 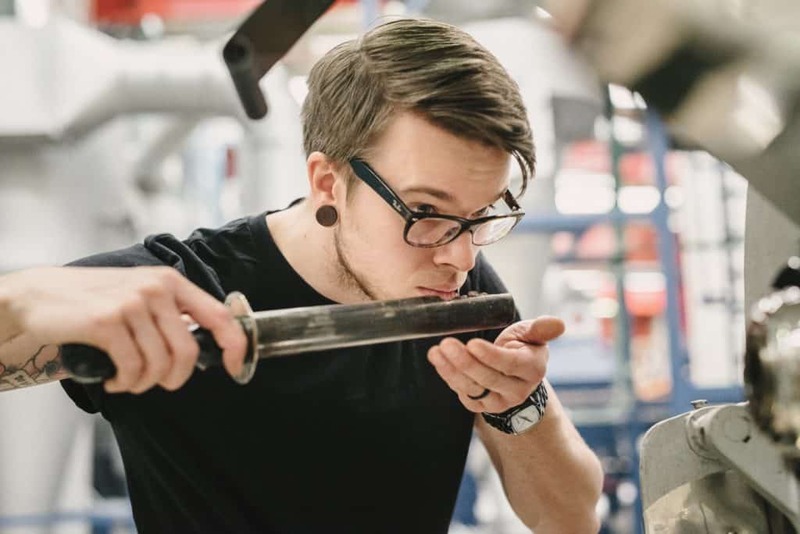 Bailies Coffee Roasters built their coffee roasting business on direct trade –on going where the world’s finest coffees are grown, and forging lasting links with the growers, their farming partners. Through refinement in their dedicated coffee lab to investment in the latest roasting technology from their partners at Probat, they create individual roast profiles that remain true to what their farming partners want and promote the finest aspects of the green bean to enhance every coffee experience. To experience full flavoured coffees like the Costa Brazil Mogiana Natural blend, be sure and sign up for a Blue Coffee Box Subscription. Click for more details and to find out how you can get your first box.